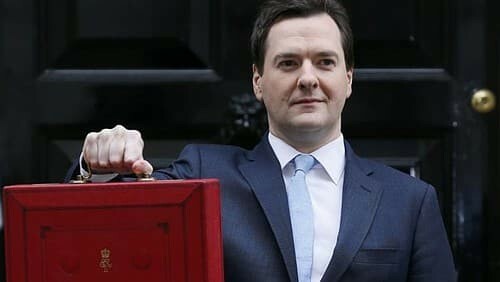 George Osborne, the UK’s Chancellor of the Exchequer delivered his eighth budget speech this week in which he admitted that his financial targets had been missed. He pushed forward his notion that we might just about balance the books to 2020. Meanwhile, he is having to borrow more than he even expected when he made his “Autumn Statement” less than six months ago. Financial analysts are busy saying that the country stands a real risk of further financial problems. They add that there is only a 50-50 chance of the Chancellor reaching his only remaining financial target inside the next five years. Economists are perplexed by our economic woes. The world’s financial crisis hit us back in 2008, and many countries are still suffering eight years later. Previous financial crises like this have taken only a year or two for recovery. The crux of the matter appears to be productivity. No matter how hard governments try and whatever policies they introduce to deal with it, productivity remains stubbornly stuck at low levels. Back in 2008 when the financial crisis started, social media was in its infancy. Back then Facebook only had around 5% of the number of users it has now. Back then the number of Tweets sent per day was equivalent to what is sent every 15 seconds now. Back in 2008, neither Instagram nor Pinterest had been invented, and Google+ was a distant dream. When the global financial crisis hit us, we were in a completely different online world to the one that quickly arose, just eight years ago. Nowadays, there are millions of social networking messages exchanged every single second of the day, as well as hundreds of millions of emails sent and received. That’s every second. Of every day. In the eight years since the financial crisis began, we have been submerged in an ever-growing torrent of online activity. And that is why we are less productive. These days people are distracted from work considerably more than they were just five years ago. The typical office worker now spends two hours a day just sorting through emails – most of which are not economically productive. If you run a business with just 100 people, you are around 200 hours per day less productive than you were five or more years ago. Worse still, studies show that it takes around 20 minutes to get your brain back into gear after each distraction. This is leading to a significant attention deficit within businesses. People get distracted by an email and spend 5 minutes dealing with it, but it is another 20 minutes before they actually start to concentrate on the work they were doing before the distraction. We are naturally attracted to the new and exciting and hence every time something different appears in our inbox or on a social network we are curious. It takes us away from productive work. In the past – even as little as eight years ago when the financial crisis happened – we did not have the distractions we have today. Productivity is always going to be an economic issue when people are so easily distracted and taken away from economic work. Perhaps the Chancellor ought to introduce a tax on emails and time spent on social networks. Alternatively, businesses could just put in place some practices and develop staff habits such as only checking emails once per day, or only using social media once a day. Unsurprisingly, people get more done and are more productive when they do less emailing, for instance. The question we all have to answer is “who is in charge – me, or the Internet?” The reason we are less productive than before is because we have let ourselves be ruled by the Internet. An interesting hypothesis but I would challenge it. George Osborne can’t balance the books because of the nature of the existing money system. Our money is FIAT and not backed by anything other than another parties ability to repay a loan. Almost all money is created as a debt by banks. If you have around 1min 30 seconds, this video created by the Bank of England explains it very well; https://www.youtube.com/watch?v=CvRAqR2pAgw Go to the 1 minute mark of the video and you will hear how banks do it. Contrary to accepted wisdom and accepted myth – Banks do not lend out other people’s deposits, they create the deposits when they create the loan through double entry book keeping. The other observation is that a government can try to balance the books but watch what happens to the other side of the spreadsheet. Private/personal debt must go up. The disappointing thing for me is that 99.99999% of the population don’t understand this fairly fundamental point. This includes our dear elected politicians!